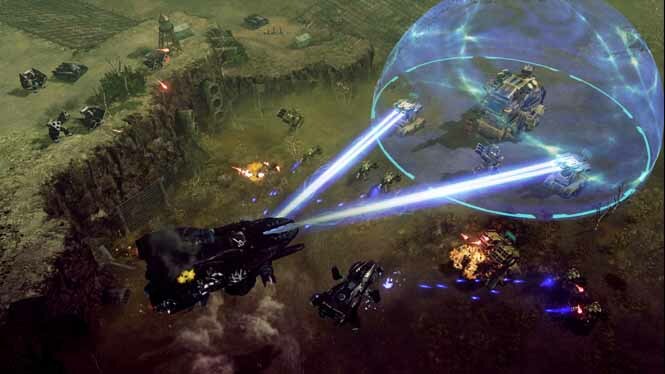 Electronic Arts’ Command & Conquer strategy warfare gaming franchise has been running strong for about a decade and a half…and EA has been promising the bring the series to a “stunning” conclusion with Command & Conquer 4 Tiberian Twilight, coming in March. Fans who want to get a taste, however, can jump in now: EA has just launched an open multiplayer beta, letting folks get a jump on the real-time-strategy game five-on-five multiplayer action before the game goes on sale. The beta features four maps, including the new “Afflicted Arena,” a former Polynesian paradise transformed into a military base. 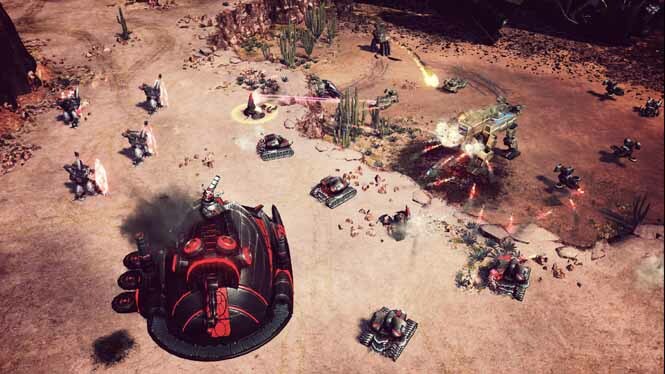 Command & Conquer 4 promises to provide players with a deep strategic gameplay experience as they engage in battles between the GDI (the Global Defense Initiative) and the Brotherhood of Nod, with its bizarro mystery leader Kane. The game will feature solo, co-op, and five-on-five multiplayer modes; experience earned while playing the beta can be transitioned to the full game when it’s released. 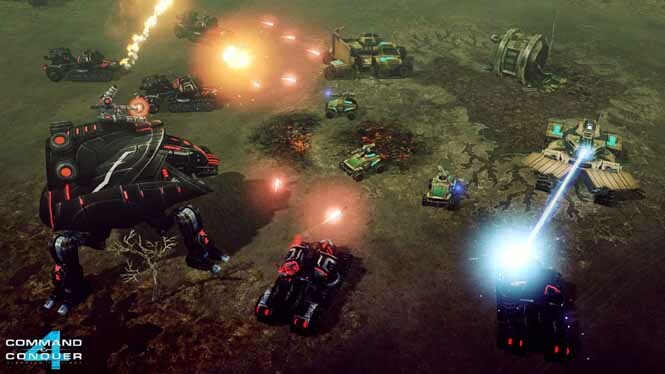 Command & Conquer 4 is set to ship for Windows PC on March 16 in North America and on March 19 in Europe. Pre-orders are open now.